Truview ads are annoying. People are seldom on youtube to watch them. They run for a minimum of 5 seconds before you can skip them. When most brands put their regular TV ads on youtube and pray for people to stay IKEA turns it the other way around. The actors in these customized ads are so aware that the content is boring and private that they beg you to skip them. And to really rub it in the ads are over five minutes long. The results were quite astonishing. 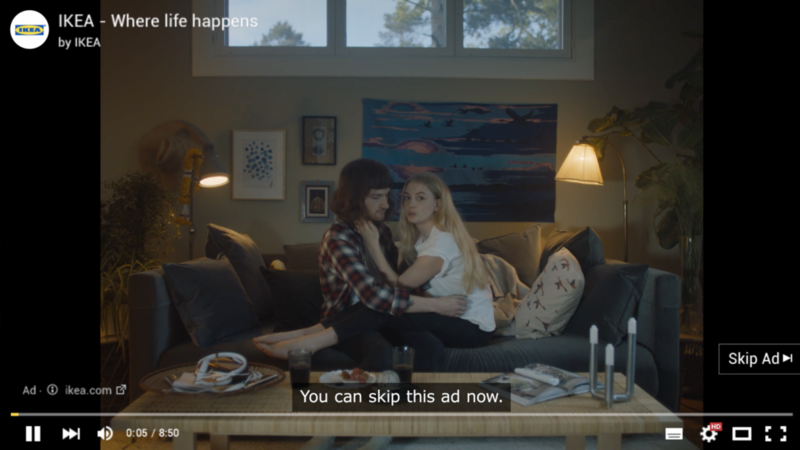 People watched the ads over 3 minutes, far above industry average and 39% of the viewers even went through the whole ad. It seems to be true that where life happens, if you ask someone NOT to, by instinct, they turn out to be quite irresistible.